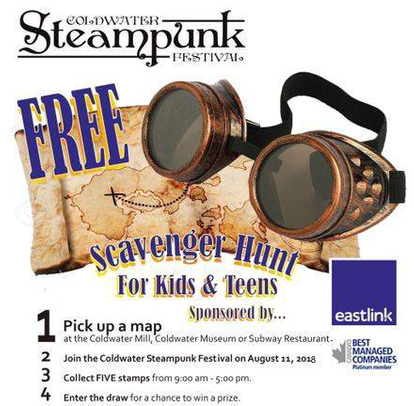 Steampunk Festival Coldwater - Contests! 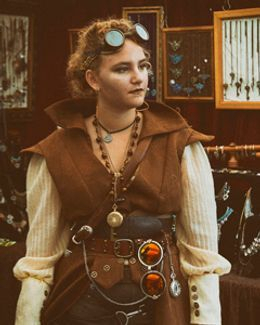 Thanks to our wonderful donors, sponsors, program partners and volunteers, the Coldwater Steampunk Festival is proud to offer you many ways to get your steampunk on! This year's Main Event Day contests include Arts & Crafts competitions, PLUS a live Costume Contest, Scavenger Hunt and a SUPER Photography Contest sponsored by Stewart Vincent Photography. Win cash, express yourself & inspire others! cash prizes & bragging rights by day's end. Pick Up by 4:00 pm. 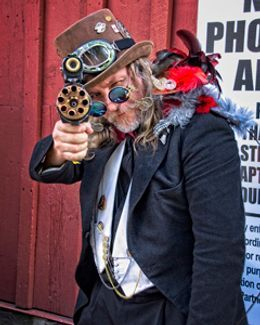 Please note that attending the Coldwater Steampunk Festival gives consent to be photographed, filmed and/or otherwise recorded. Entry unto the grounds constitutes consent to such photography, filming and/or recording and to any use, in any and all media throughout the universe in perpetuity, of your appearance, voice and name for any purpose whatsoever in connection with the Coldwater Steampunk Festival. You understand that all photography, filming and/or recording will be done in reliance on this consent given by you by entering the area. If you do not agree to the foregoing, please do not enter the grounds. We had a blast last year. Enjoy last year's winners and Good Luck in 2018! 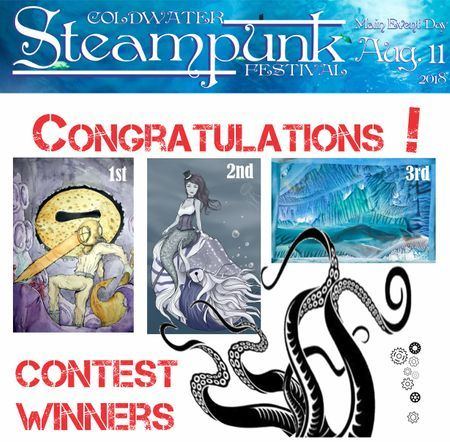 THREE CHEERS for all those who entered the #ColdSteam2018 #SteampunkOceanic Design Contest! Any many thanks to our voters. You have inspired us! But, before we #GetKraken on this year's #ColdwaterSteampunkFestival postcards, buttons, signs and t-shirts... we need to say, "HUZZAH! HUZZAH! HUZZAH! " Congratulations to our Design Contest Winners! 1st Place: Chris "Cold Ramen" Edwards. His dramatic depiction of a deep sea diver battling a kraken in "Beware the Depths" was a hit with our Facebook Friends. It was a super tight race between his aquatic hero and our second place winner, but in the end, the kraken-killing diver was King! Her fetching nautilus-riding steampunk mermaid was our Queen of Hearts, "Somewhere Beyond the Sea". Our Steampunks were invited to "Take A Plunge" and thoroughly enjoyed this beautiful, vibrant, ecasutic painting!